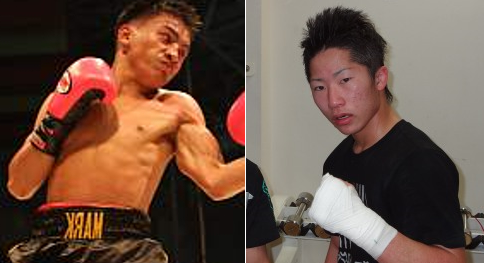 Filipino boxer Mark Anthony Geraldo scheduled to face Takuma Inoue of Japan for vacant OPBF super flyweight title on July 6, 2015 at Korakuen Hall, Tokyo, Japan. Mark Anthony Geraldo is a 23 year old boxer from Kibawe, Bukidnon, Philippines. He has a record of 31 wins including 14 wins by way of KO and has 5 defeats. He is ranked no. 5 in the Philippines and ranked 36 in the world in the super flyweight division. Geraldo loses his last fight against McJoe Arroyo of Puerto Rico via 12 rounds UD. Takuma Inoue is a 19 year old boxer from Japan. He is the younger brother of WBO World super flyweight champion Naoya Inoue. Takuma Inoue has an undefeated record of 4 wins incluing 1 win by way of KO. A bit newbie on professional boxing but he had a great amateur experience. Takuma Inoue last seen winning a fight against Nestor Daniel Narvaes Argentina via UD.